Easily adaptable to the current goods volume and the required weights of the load carriers, the META MULTIPAL pallet rack is the optimal storage system for all standard loading aids such as Euro pallets and mesh box pallets. Other loading aids can also be stored using our extensive range of accessories. 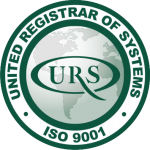 All META pallet racks carry the RAL-RG 614/2 quality mark. 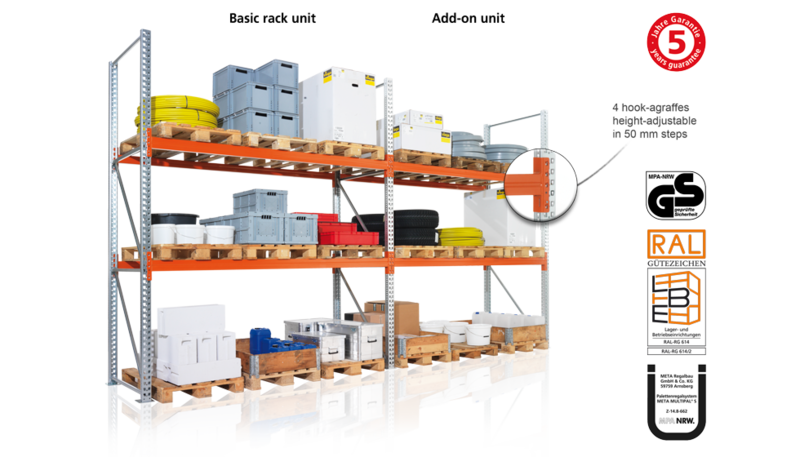 META MULTIPAL is the perfect solution for rationalized, well-arranged and adaptable pallet storage.